Egosoft has announced that the latest and, by far, most sophisticated space simulation in the vaunted X Series of games, X4: Foundations, will be available on Steam and GOG.com later today. X4: Foundations is described as a space simulation played as an action game from the 1st person in a living breathing universe, aiming to deliver the franchise’s most sophisticated universe simulation ever. Foundation of Conquest and War is now out as a Mod. For people who don't know about this series it was one the biggest mods in Rebirth that really made the game quite enjoyable. It will help fix that stale economy! EGOSOFT is happy to announce the availability of X4: Foundations Update 2.00. 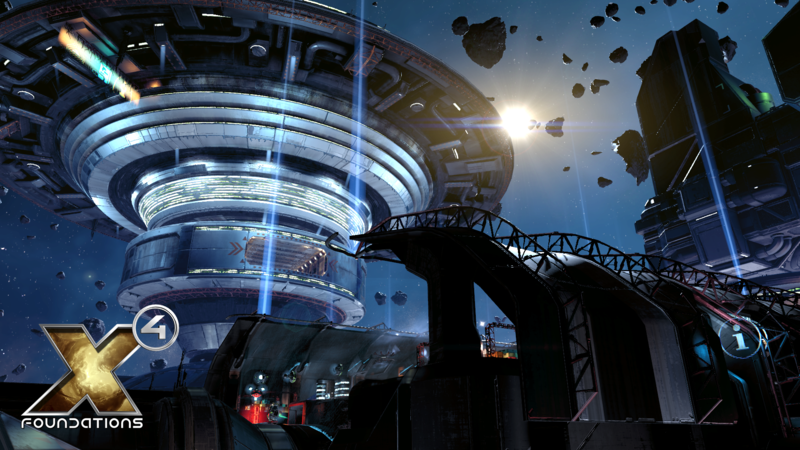 Players can now build and operate their own shipyards. This allows leaving an even deeper impact on the game’s economy. Build ships for yourself or deliver them to the war factions. Participate in the faction wars on the highest possible level or just make a lot of profitsss. Starting with version 2.00 X4: Foundations now also supports installing game mods via the Steam workshop. This will make it easier than ever for players to try out some of the already existing cool X4 mods! With Update 2.00 we changed a lot of parameters of the game economy and fight balancing. The goals include making crew gaining experience a bit easier, but also making a lot of changes to the turret and capital ship fight balancing.